Finnish technology outfit Teleste has secured a contract to continue to supply optical headend products to Turkish cable and satellite operator Turksat. 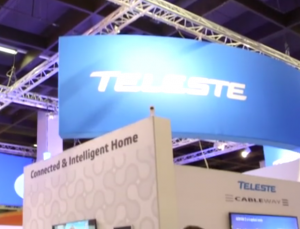 The deal, which extends one for the deployment of optical equipment last year, will see Teleste equipment deployed in partnership with the company’s local Turkish partner Telco Ltd.
Teleste is supplying its HDO family of headend optics for optical data transmission. Teleste said that to drive savings in power consumption and ensure that the requirements of the high-density installations are met in a future-proof manner, the focus of the deployment is set on Teleste’s dual DWDM transmitters released in 2018.